Word for Today: Keep praising God for more increase on earth. 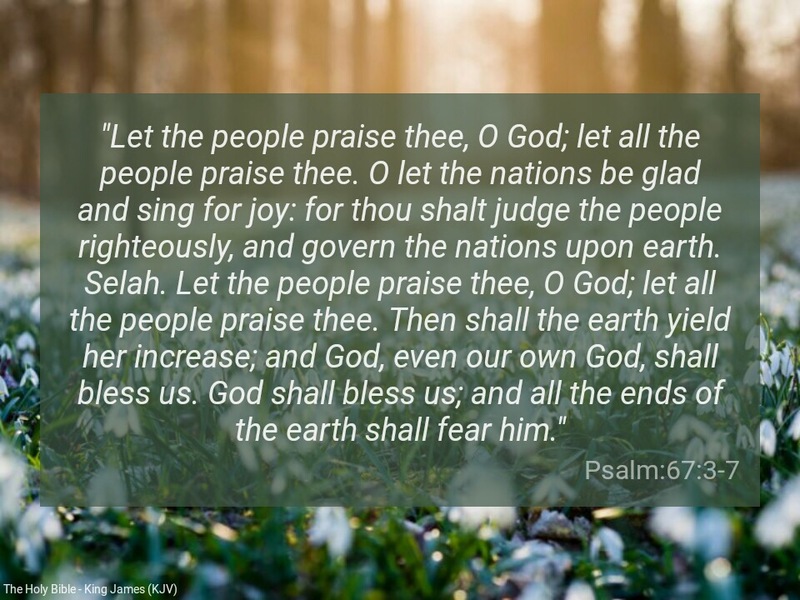 “Let the people praise thee, O God; let all the people praise thee. God shall bless us; and all the ends of the earth shall fear him” (Psalm 67:3-7). The more we praise God in Christ Jesus, the more the earth will yield her increase, according to the above scriptures. Please, let praise the Holy One of Israel today as we have never done before. Our God in Christ Jesus is higher than all other gods. Let the earth bow before him. Remind HIM of His functional names. He is the Lord of lords and the God of gods. He is greater than the greatest. He is higher than the highest. Thank you Jesus. Previous Previous post: Word for Today: Fullness of Joy!